Falcao moved to Chelsea on loan this summer, after spending previous season at Manchester United but failed to hit the previous heights of his career, with just four league goals in 26 appearances. His form hasn’t improved at Stamford Bridge as he has made nine appearances, coming in from the bench on 8 occasions with just one goal to his name. Falcao was reported to have been dubbed as surplus to requirements by the Chelsea management and reports have emerged this week suggesting he would start a new loan at Valencia in January. But Mourinho says he wants the Colombian to remain at Stamford Bridge for the entirety of the loan spell. “I think so and I hope so,” Mourinho said when asked if Falcao would stay at Chelsea. Mourinho says he is open to signing players in January but he will not ask the board for extra transfer funds. 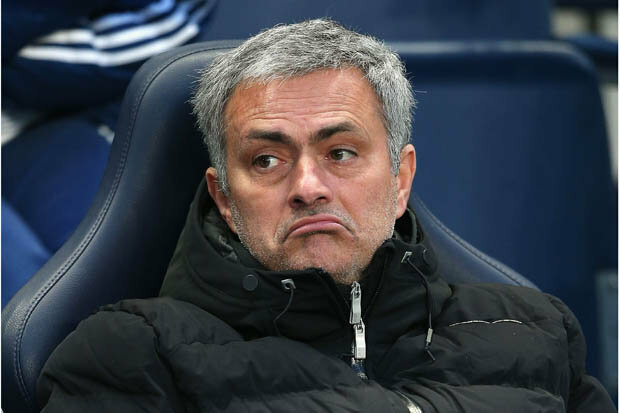 “I’m not saying I won’t sign anyone, I’m saying I won’t ask the team to do that,” Mourinho said. “I don’t have the right to do it, in my opinion. I would be more than happy for myself and the squad I have now to go to the last day. “Our performance during the season in the Premier League is not good enough and I think if the club gives me a handful of players it is like taking a little bit of responsibility out of us and saying we need a bit extra to reach our objectives. I want the responsibility in my hands and the players’ hands. I want them to feel that I trust them and I won’t need other players to reach our objectives. When asked if he would accept the arrival of a superstar signing, Mourinho said: “Of course, yes. But not because I’m not happy with my players. Not because I think only a superstar can help us reach our objectives – we believe in ourselves. Jose Mourinho’s statement means Falcao will not be moving away from the club this January contrary to reports in the media.